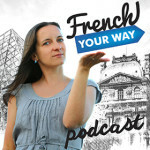 In this somewhat different episode you’ll get to hear a real French lesson that I recorded with Stephen, a student from Sydney! A few months ago, I introduced a new concept to give you the opportunity to have a casual French session on Skype with me, since I can’t commit to recurring lessons anymore. 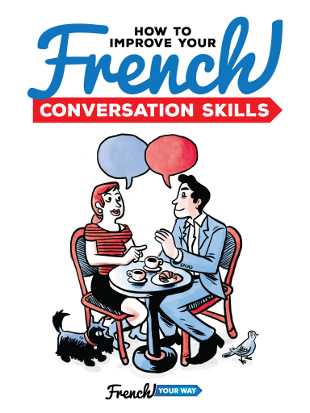 This is a great opportunity to get my personal feedback on your French and ask me anything that you need help with. Students taking the lesson agree to be recorded (I make sure any personal detail is then edited out) and the result may become a podcast episode…like today! This way, my feedback is both personal and still helping as many of you as possible ? When you participate, you get your own copy of the notes AND the mp3 recording of the lesson. In the shownotes you’ll find the PDF file with the notes I took for Stephen. You may like to use it to follow our conversation. This episode format is an experiment; therefore I would really love (need!) to know what you think of it. Would you like to hear more of these live lessons? What could be improved? 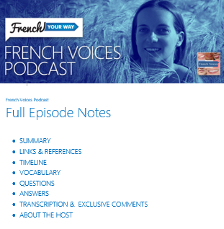 If you’ve enjoyed learning from a real French lesson situation, I encourage you to participate because there cannot be any more episodes without students! Download the PDF of the notes I took during the session.